UFC flyweight contender Paige VanZant recently partook in a photoshoot for the Sports Illustrated swimsuit edition. Speaking to FanSided, VanZant admitted this is the kind of opportunity she previously might have turned down in an effort to seem less girly and more like a professional fighter. But she says those days are over. 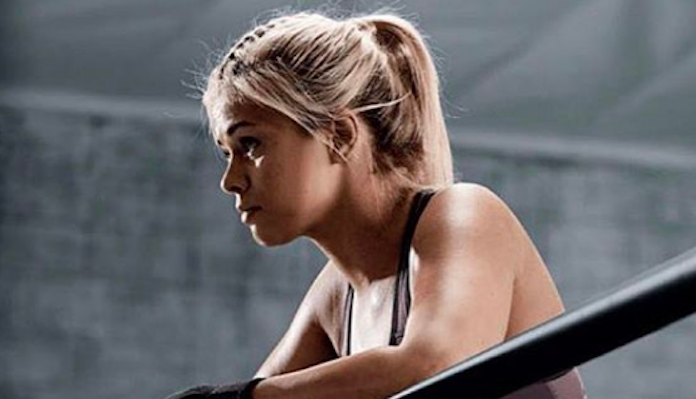 As Paige VanZant implies, some fans have been critical of her for taking opportunities like this Sports Illustrated photoshoot. But the flyweight star isn’t letting those “morons” get her down. “[Those] fans are morons,” VanZant said. “The problem with fights fans is they are quick to forget. They focus on who won the most recent fight… and they are quick to jump ship.